Over the last months, there has been a significant uptick in universities interested beginning, launching, or officially tendering Digital Asset Management systems. The Kaltura team has received 10+ (do we call that a trend?) formal Requests for Information on the subject from institutions of all kinds—large and small, public and private. Digital Asset Management (DAM) consists of management tasks and decisions surrounding the ingestion, annotation, cataloging, storage, retrieval and distribution of digital assets. As DAMs involve multiple areas that Kaltura touches, and as Kaltura focuses on amplifying video experiences across multiple industries, I thought this DAM topic was a good one to address with some advisory board members who were visiting the Kaltura team. The following will be a 3part series about the insights learned from our client partners through numerous engagements. 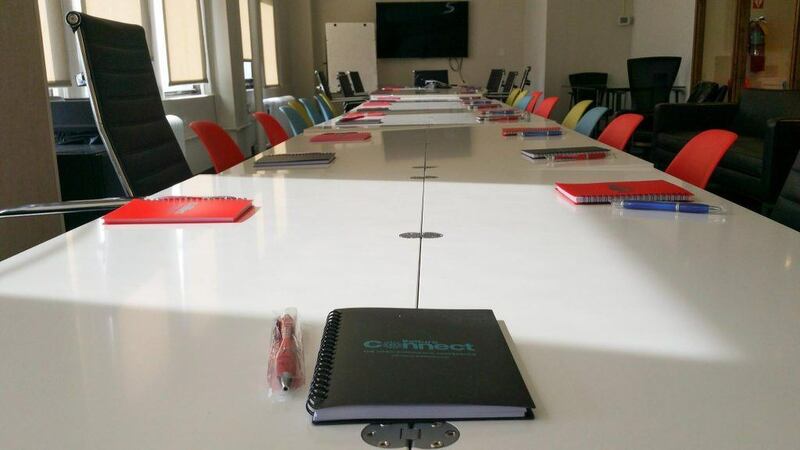 Background: the week of March 23rd, Kaltura hosted clients in our New York headquarters for an advisory board. Education professionals came from communities as far as Houston, Oregon, and even Amsterdam and Sweden. These folks gathered to share practices, engage in roadmap planning with the product team and most importantly continue to—in tandem with our team—push the capabilities of Kaltura forward. Over lunch, we discussed the core strategies and approaches these leading institutions such as NYU, Houston Community College, and SUNET were using to support their diverse faculty populations. As different as these institutions are, some common themes quickly emerged. “Most faculty – while gifted at their given subject matter tend to walk away from technology that takes significant investment to learn and adopt,” commented one of Kaltura’s education advisory board members. The key to adoption, it turns out, is making the path as smooth as possible. Engage/centralize where the faculty currently are today. Use the platforms faculty are already using. Adam Hagen of Purdue University commented how Kaltura’s integration to their campus Learning Management System was virtually opaque—meaning students and educators had little clue they were engaging with a plugin. Lesson: don’t introduce a new, completely separate login and workflow tool or appliance for faculty. Instead, allow them to create, manage, collaborate, and engage with video right within the learning environment they use today. Use the recorder/input device the faculty are comfortable with. NYU has an AWESOME high end lab where educators can come record their own short form content with the assistance of a designer and media specialist. That is fan-freaking-tastic. Unfortunately, not all instructors have the confidence to use that amazing resource. Lesson: encourage using tools they already own. In my unofficial non-scientific study, 95% of all educators have a webcam, laptop, or desktop they could capture and record lectures or video within High Definition (and I daresay that instructors might actually prefer to use their own devices!) Kaltura’s video tools, such as the CaptureSpace personal capture application, works with both Apple and Windows, is incredibly simple to use, and launches right from the learning management system (see point #1). After this, the recorded asset is automatically uploaded to the educator’s repository, which will follow them to all classes or systems across campus. Integrate personal capture with formal institutional lecture capture. While capturing video from personal computers is incredibly convenient, many institutions have invested in the same kind of facilities that NYU boasts. No one is suggesting shifting away from these amazing (and expensive) resources. Lesson: The key is to choose a platform that gracefully accepts videos of all kinds, whether recorded in a state-of-the-art media lab or in someone’s office. We launched the Open Capture Initiative with IMS for precisely this reason: to enable open, flexible, findable, and follow-able video content. This way, institutions can purchase whatever equipment they need without being tied to a specific vendor for their media management, future-proofing their video capture. Together with a number of partners, we are attempting to improve the interoperability of all capture systems with the direct result being this: no matter where or on what academic content is recorded, it can live within Kaltura and then manifest itself across the institution wherever it is needed. Accessibility and Searchability: two topics that go hand in hand. A key component of a strong DAM strategy is the appropriate metadata and searchability of the contents of the asset. Institutions struggle with this topic in particular from a cost, scope, and size / feasibility perspective. In addition, there is increased focus on accessability and the industry is racing to avoid lawsuits in this arena. Fortunately, creating accessible content in accessible systems has a byproduct that benefits all users: increased accessibility. Lesson: Searchability and accessibility can be solved using the same solution. he technology and toolkits are already here, such as the Kaltura 508c compliant player and the transcription service, REACH, which supports institutions’ accessibility, compliance, and leadership. What we are seeing is a very real focus of an overall DAM strategy by leading academic institutions, as opposed to a focus of single component of video, whether it be lecture capture, captioning, or tagging of assets. This article just touches the front end of the DAM spectrum. Be sure to follow our blog. There is certainly more to come from the Client Advisory Board discussions on management, distribution, and lifecycle management in the future.